Aldershot’s women notched up their fifth successive women’s 6-stage title while Leeds City took the men’s 12-stage event. 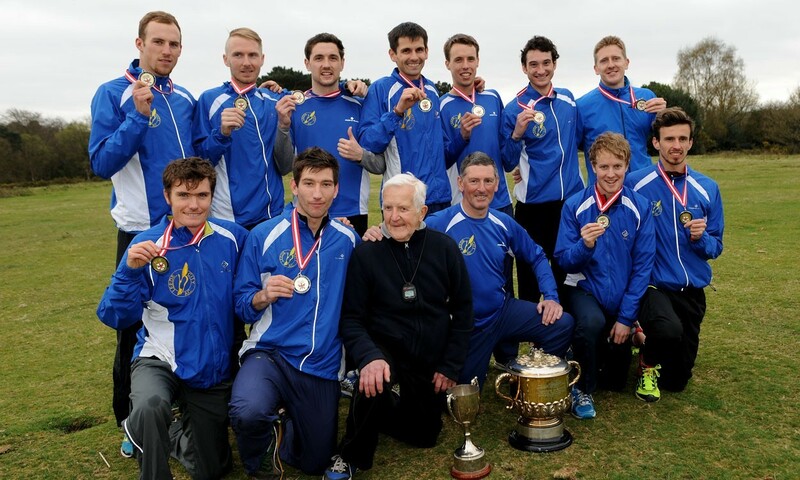 The Yorkshire club’s victory followed the controversial 2013 championships that saw Belgrave Harriers, who were first across the line 12 months earlier, later cede the title to second-placed Leeds due to a possible irregularity. Leeds therefore received two sets of medals this weekend – golds for the 2013 and 2014 men’s championships. However, as it eventually transpired, Belgrave were never officially disqualified from the 2013 event but they felt passing the title to Leeds was the right thing to do after their fastest lap runner last year, Alberto Lozano, was found guilty of a doping offence. As bad luck for Belgrave would have it, Lozano’s “B” sample was not tested and he never actually received a ban, so they would not have been removed from the results had they not done so voluntarily. With the breeze blowing away the ‘Saharan smog’ air pollution of the previous few days, conditions were perfect for running. Also blown away were nearly four decades of statistics for the men’s race as the laps were shortened for a variety of reasons, prime among which was for health & safety considerations. Emelia Gorecka took the fastest lap overall with 13:51 for the truncated women’s lap of 2.69 miles, while Niall Brooks ran the distance in 12:39. The quickest time for the men’s long stage of 5.08M was shared between Andrew Butchart and Ieuan Thomas at 24:20. This was seven seconds quicker than Dave Moorcroft’s course record for the historic lap distance of 5.38M. Watching stalwarts Bill Adcocks and Jimmy Alder were not amused.